Congratulations! You finally got your site launched and now it's time to starting making sales! But have you thought about your website’s return policy? Do you actually need one? Listen I hear you isn't the goal is not to have any returns? Let’s face it though the online sales return rate for some product categories can be as high as 50 percent. That’s right, 50 percent! Having a solid return policy in place on your e-commerce site will not only create credibility and validity with potential customers but will also create loyal and lifetime customers for those that decide to make a purchase. So are customer returns somehow your fault? Not necessarily. However you can do everything in your power to prevent them! 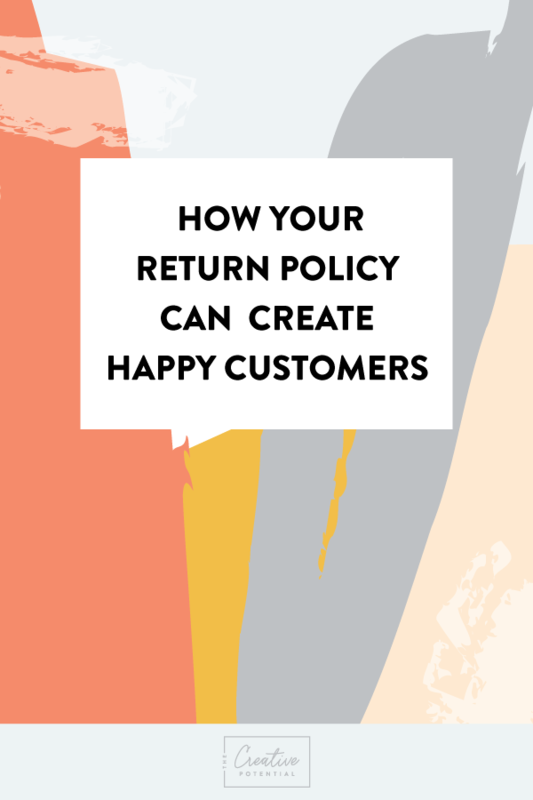 Here are 6 handy return policy tips that will keep your customers happy and coming back to shop more on your site! 1. Prevent The Return Before It Even Happens! People return products when they are disappointed with their purchase because it was not what they thought they ordered. Minimize disappointment by creating accurate product descriptions. If you have a model wearing the item list the size they are wearing. Include a size chart. That way you are giving as much information upfront as possible. Don’t leave anything up to interpretation. The copy and images create that first impression and help sell the item. If the products you're selling have informative descriptions and proper pictures (or even product videos), you'll greatly reduce the number of returns. Use terms that everyone can understand and it will be easier for customers to follow your policy. You don’t want them to have questions about your site let alone questions about your return policy on top of it all. They will for sure leave your site and head to another one! Make sure your policy isn't hidden away. Post your return policy on your website, on customer correspondence, on receipts and even in the package so that customers have every opportunity to review your return policy. Be completely transparent. If you need to have the customer pay for the shipping cost. Let them know! It's normal to give a specific time frame to accept returns. You certainly don't want to accept a return a year later, so it's important to define how long the customer has to make up their mind to keep their purchase. Tell your customers if they must return the product within 14, 30, or 60 days of purchase. 5. Exchange or Full Refund? State whether the customer can expect to exchange the item, get credit or receive a full refund for their purchase with the set return time frame. What if the item is damaged or malfunctioned? Say for example you sell handbags and the zipper broke do everything you can to repair the item. Don’t expect the customer to pay for it. Make every effort to replace the item, or give a full refund without incurring any costs to the customer. It has happened to me in the past that a customer wanted to return an item but realized they threw part of the item away in the box it was shipped in. Try to get as much information on why they want to return the item. It can be as simple as emailing them a new set of instructions! That saves you a return that was not necessary. Want to make you website a shipping success? Make sure you check out our FREE mini e-course- Get Your Website into Shipping Shape. You can sign up here. Older PostIs Blogging Right For Your Business?